Nathalie Jaeckle recently completed her MA Fine Art Digital at Camberwell after moving from Frankfurt, Germany to London for the course. She has a BA in Fashion Design and did not expect to end up on the MA Fine Art Digital course. 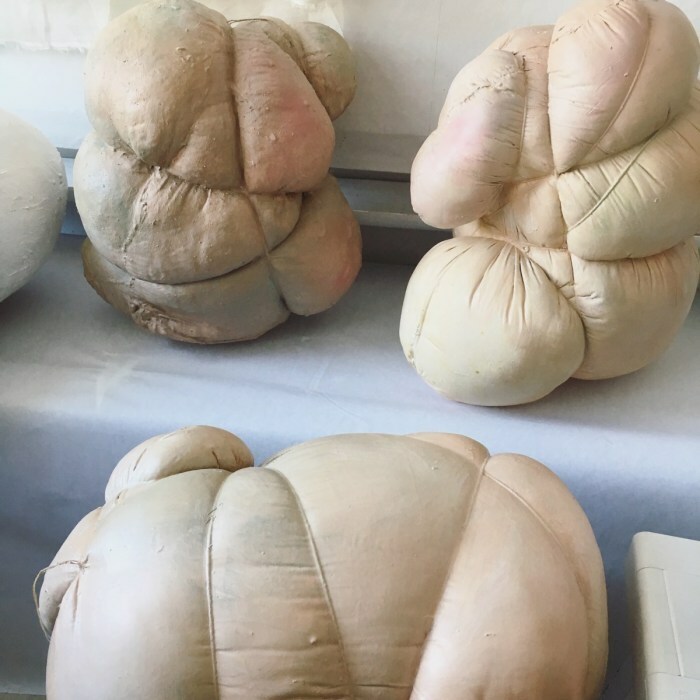 We spoke to her about how she came to study Fine Art at Camberwell, and the ways in which her practice has developed as a result. Please tell us a bit about your background and how you came to study at Camberwell? I took a BA in Fashion Design back in Germany. I was intrigued by the idea of not only designing clothes but also using them as a canvas for my art, so I started painting and printing on clothes. After my graduation I wanted to continue my studies; I knew about UAL and had planned on applying for an MA. An MA in Fashion Design didn’t seem right, and I wasn’t brave enough to apply for a course too far away from my BA. I prepared a portfolio for MA Illustration at Camberwell, however my portfolio was passed on to Jonathan Kearney, programme leader for Fine Art Digital. I was invited for an interview with him for the MA Fine Art Digital course and in retrospect this was the best thing that could have happened to me as this course allowed me to explore and develop my art practice immensely. I love working at home as I tend to work in the late evening or at night, so I created space for a studio in my own flat. I am fascinated with the human body and its communicative capabilities. 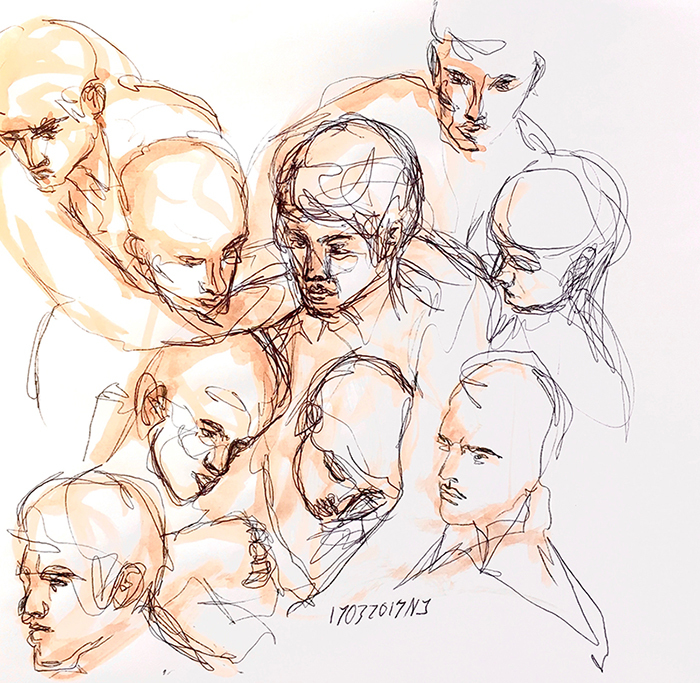 I am intrigued by the body itself, the different forms and stages a body goes through. I am also interested in how our society perceives and reacts to different bodies, as well as the human fascination of depicting ourselves especially in response to the speed of cultural and social change. 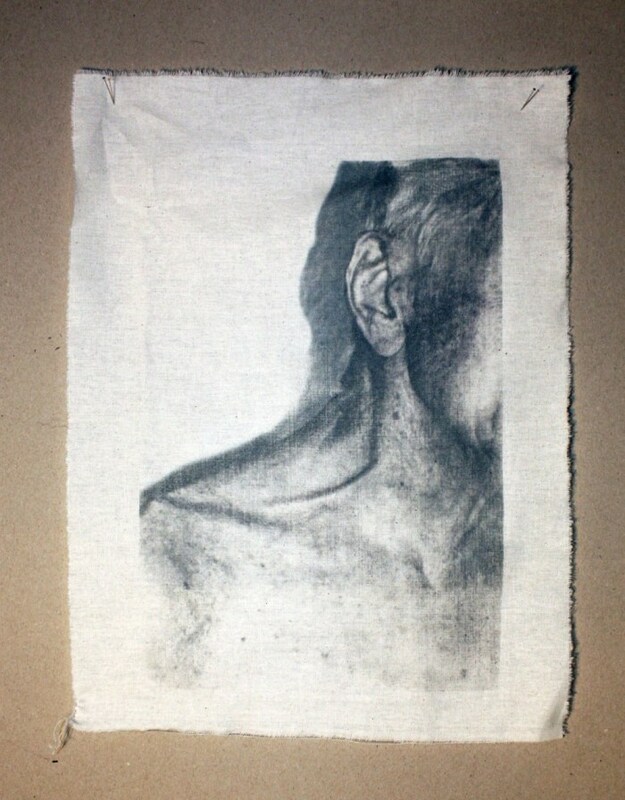 Within my art practice I experiment with many different materials, often integrating fabrics and clothes into my work as well as paint and the use of lavender print techniques. What did you create for your final summer show? For the final exhibition I created an installation piece. 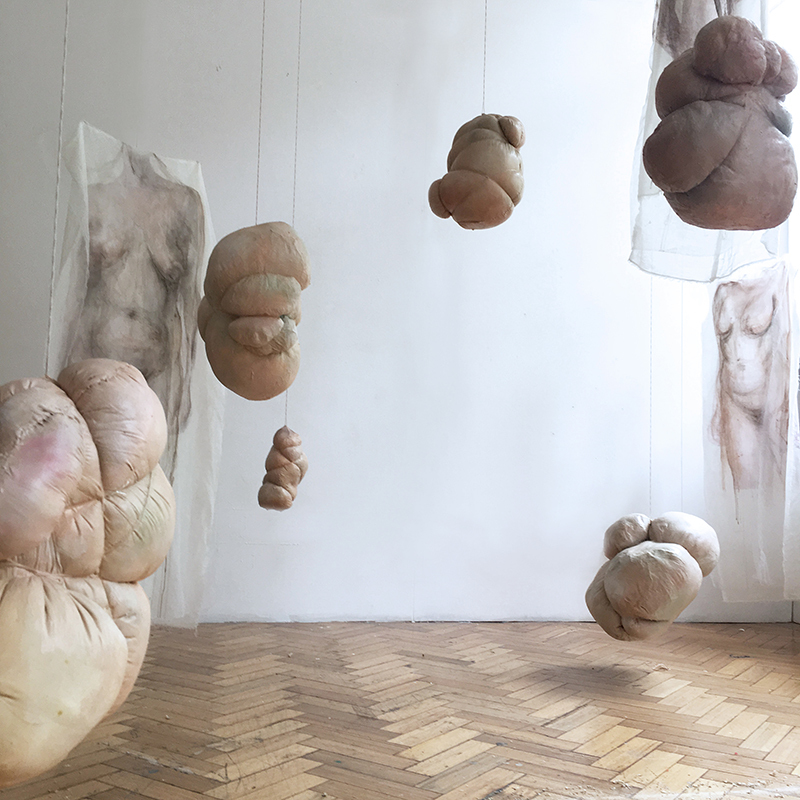 It is a mixture of very abstract organic and fleshy objects which are constricted with strings. In order to juxtapose these heavy round objects I created pieces of very light fabric. 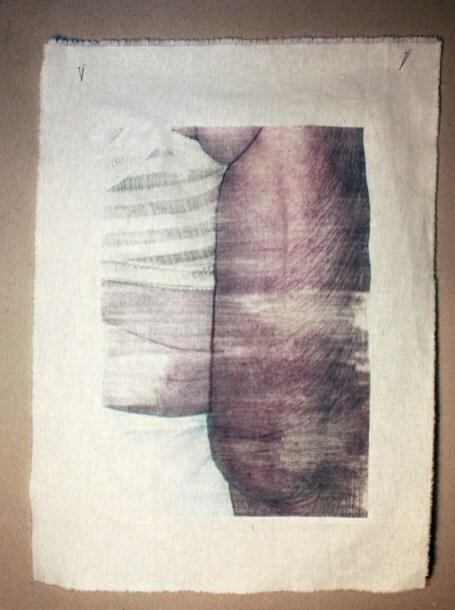 They consist of multiple layers, each layer either having a print or a painting of a human body. The transition from a highly structured BA course to an MA course with almost no deadlines, assignments, requirements or restrictions was a leap in the dark, strenuous and daunting. For me, the time on this course was marked with questions and uncertainty, very critical reflection and a rollercoaster of mixed feelings. Two years later, with the course coming to an end, I am looking back on a period of what I think was genuine personal development. I believe that the unrestricted freedom, which initially scared me, ultimately allowed me to metamorphose from an individual intrigued and fascinated by art into an artist myself. This course prepared me and set the base I needed to dive into my artistic abilities. The next step for me will be to apply for a residency and/or exhibition spaces. I want to use opportunities of working together and collaborating with other artists. This was something I would not have been keen to do about two years ago but which really interests me now. I hope that I will be able to submerge myself in London’s art scene and really grow as an artist in the following years. In September I am going to collaborate with a fashion writer and shop owner in Munich who is giving me the opportunity to use her display window for my artwork as well as organising talks and events regarding the female body in our modern western society. This is something I am looking forward to very much. I am influenced by many different things but the greatest influences for my work are human beings. These could be people I observe in the streets or on the tube, as well as family members or good friends. Furthermore I am very interested in the sphere of social media and people’s behaviour therein. I love the comparison of the behaviour in the digital and synthetic world to the real world. Of course there are also many artists who have influenced me. 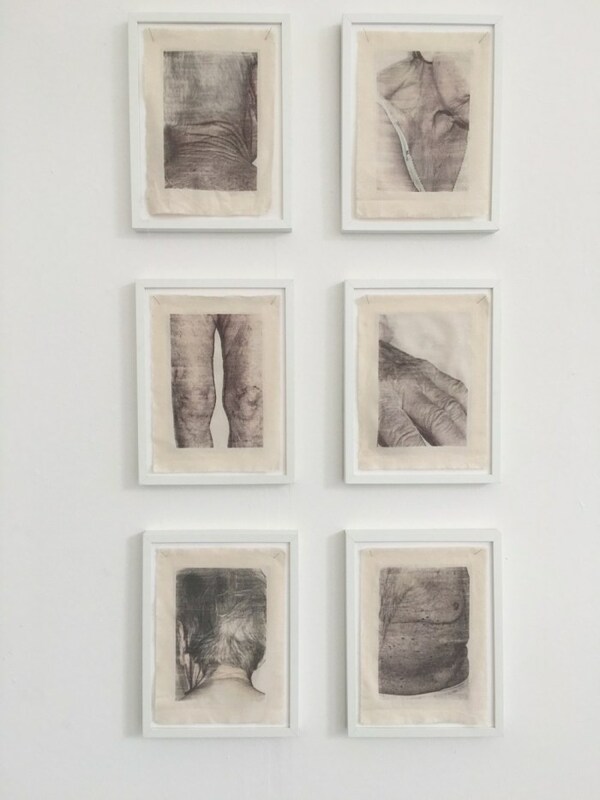 I am particularly inspired by artists dealing with the human body: Louise Bourgeois, Lucian Freud, Francis Bacon, Richard Gerstl, Egon Schiele, Max Beckmann’s drawings and many more. And finally, do you have any advice to students looking to start MA Fine Art Digital at Camberwell? The only suggestion I would make at this point is: allow yourself time to think and to reflect. I feel that from school onward we are used to very structured courses and learning, we produce as much work as we can. What I have learned during these two years is that it is equally important to think about your own work and to let it grow on you, to question your decisions and your approach towards your work process.